Can Bradford City afford to sell Charlie Wyke? Home › Opinion › Can Bradford City afford to sell Charlie Wyke? The modern history of Bradford City is a recurring lesson in just how essential it is to have a proven goalscorer. A striker who can routinely find the back of the net. Someone who can get you between 15-25 goals each year. Sean McCarthy’s 79 goals in 160 games offered hope in the gloomy early 90s. Lee Mills’ 25 goals in the 1998/99 season were huge in getting Bradford City promoted. Dean Windass’ 60 goals between August 2004 and January 2007 kept the Bantams competitive in League One. Peter Thorne’s 32 goals from 84 games was massive in League Two between 2007-2009. Nahki Wells’ 52 goals in 112 appearances took the Bantams from the depths of League Two to half way up the Football League ladder. Take those goals out of Bradford City, and it’s usually not a pretty picture. When Windass was loaned out for a fee midway through the 2006/07 season, City collapsed and were relegated from League One. And after Wells’ contentious exit to Huddersfield in January 2014, City struggled for goals, arguably costing them a play off finish in 2014/15. Wells’ star had shone so brightly that City had to cash in when they did, but without him they struggled to find a reliable goalscorer. At least not until the January 2017 signing of Charlie Wyke. And now, nearly five years’ after Wells left Valley Parade, a strikingly similar debate is raging over the future of Wyke. The 25-year-old was signed for around £250,000 from Carlisle, and has since netted 23 goals from 62 games. Around one in every three. His performances in claret and amber have placed him onto the radar of other clubs, with the likes of Sunderland, Preston, Bolton, Peterborough and Wigan all linked with the front man. 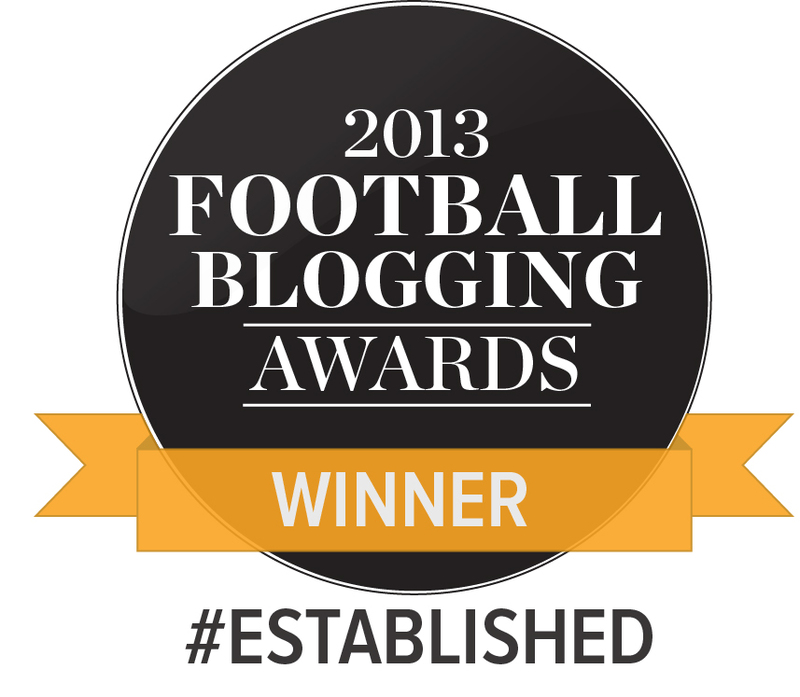 Formal bids have been submitted, with a weekend offer from Sunderland moving somewhere near to City’s valuation. There seems to be a heavy sense of inevitability that Wyke will be departing Valley Parade in the next few days. City’s hand somewhat weakened by the fact Wyke is entering the final 12 months of his contract, and so can leave for free in the summer. His value will only plummet from here. The bidding war that is currently hotting up is City’s last chance to make a healthy profit on the initial outlay. And whilst developing and then selling players for large fees is a fundamental part of Edin Rahic and Stefan Rupp’s philosophy, you worry about whether it is the right option for Bradford City’s prospects going into the 2018/19 season. Whilst Wyke had a difficult six months – in keeping with virtually every other member of last season’s squad – he is said to enjoy life at Valley Parade, and values the positive relationship he has with Bradford City supporters. With age on his side, there isn’t necessarily any urgency on the player’s part to move onto bigger and better. Especially given he is so fundamental to his current club. The landscape has also shifted around him. City’s summer transfer recruitment business looks increasingly impressive, and the activity should really benefit Wyke. Whereas for large parts of his time at Valley Parade, Wyke hasn’t been blessed with great service, City have brought in the likes of Sean Scannell, Jack Payne, Josh Wright, Serwin Seedorf and Hope Akpan to add to Tyrell Robinson, Jordan Gibson and Shay McCartan. Suddenly, there is a lot more creativity and attacking intent about Bradford City’s midfield. Its main striker should absolutely thrive. If Wyke was to remain at Valley Parade this season, the team around him looks more suited to his strengths, and he could score a hatful. No other striker on the books comes close to Wyke’s all-round ability, making him a certain starter. If Wyke has eyes on moving on from Valley Parade at some point, he has a terrific chance to put himself in the shop window by leading the line for another 12 months. By next summer, he’d be free to find another club, and a strong season in front of goal would ensure a long list of suitors. And for Bradford City, the risk of losing Wyke’s services now is it could undermine so much of the promising transfer activity. The windfall of a large transfer fee would enable them to shop around for a replacement in a position of strength, but there are no guarantees of bringing in someone better. The opposite is so often true. A few months after Sean McCarthy was sold to Oldham Athletic in December 1993, a club record fee of £300,000 was wasted on John Taylor, who didn’t last a season. As for life after Nahki Wells, every City fan lets out an involuntary shudder at the mere mention of Aaron Mclean. When Stuart McCall, John Hendrie and Ian Ormondroyd were sold in 1988 – City having just come agonisingly close to reaching the top flight – the near £2 million windfall was wasted, and within two years the Bantams had been relegated to the third tier. It is rare that a club which sells a prize asset manages to successfully compensate for the gap they leave behind. For every Coutinho leaving Liverpool, there are more commonly cases of Saurez, Alonso and Torres leaving Liverpool. That will be the challenge facing the Bradford City transfer committee right now, given the growing likelihood of a Charlie Wyke-shaped hole needing filling. Billy Sharp has been linked, but is reportedly on huge wages and has already held talks with Sunderland, with the suggestion the Mackems are aiming to sign both Sharp and Wyke to spearhead their attack. And that’s why, the option of saying no to all suitors surely has to be on the table. Currently, Bradford City receive £1.4 million a year from the Football League as part of its central distribution of funds. Get to the Championship, and they would earn around £7 million a year. 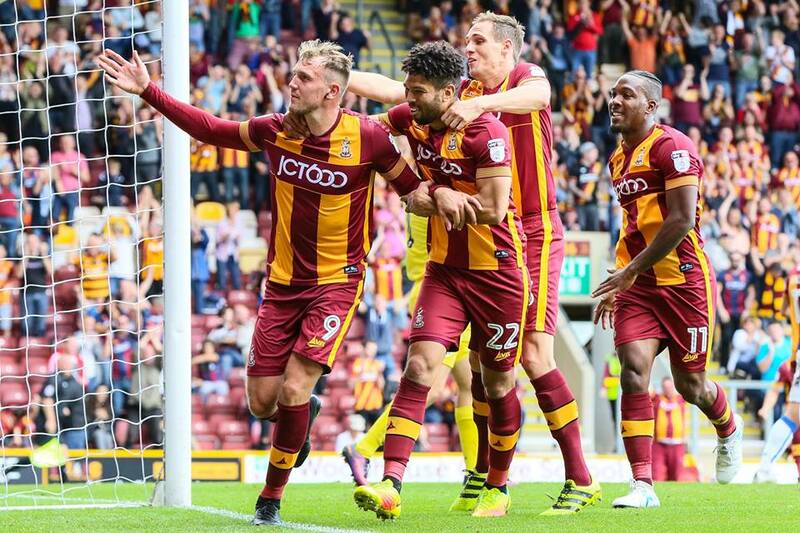 If Bradford City could get promotion this season, with Charlie Wyke leading the line, the financial rewards would far outweigh any transfer fee they’d be able to secure to sell him now. Of course, there are no guarantees of promotion, and with Bradford City apparently on track to have made a £700-800k loss over the 2017/18 season – before it was clear there was going to be a notable drop off in season ticket sales – there could be a pressing need to balance the books. But if Charlie Wyke is lining up in a Sunderland shirt, rather than City, for the big kick off in two weeks, the chances of a successful season at Valley Parade are likely to recede. Charlie Wyke underachieved last season, hampered by a lack of service. And yet he still scored 16 goals. Get him fit and firing, leading the line of this new-look Bradford City, and Michael Collins might just have a side capable of pushing for promotion. I think it is probably up to Wyke and his agent. I don’t want him to go but guess he will. Rahic will be wrong whatever he does. We simply have to hope he stays and see what happens. One small point based on statistics. John Taylor scored 11 goals in 36 appearances for City, is only slightly down on Wyke’s 23 in 62 ratio. That aside, the need to have a reliable goal scorer(s) with a good strike rate, is an essential prerequisite of a team seeking promotion. I also think this is a bit harsh on Taylor. From memory he went through a bit of a purple patch and then a barren patch, but overall his record was ok. He was also overshadowed by the emergence of his strike partner Jewell, but was by no means a disaster. I’d love Wyke to stay for another season (12 month extension – “give us one more year Charlie, we promise you’ll score more this season and if we don’t go up then we’ll let you go to a better Championship club than Bolton”) but I can’t see it. With good service Wyke will guarantee goals, and we can’t be sure his replacement(s) will. There are not an abundance of good cheap strikers out there (otherwise Sunderland would be going for them instead of Wyke). I also think Wyke is worth more than £1m. His touch and awareness suggest he can play at a higher level. There is a big gap in valuations between players in our league and the Championship. When you read about Waghorn going to Sheffield Utd for £4m (Vydra for £11m!) it makes you wonder how much Wyke would be worth next season if he scores 20 goals to take Sunderland back up. I hope whatever deal we negotiate includes a big sell-on clause because I can see Wyke scoring 15 a season in a decent Championship team (and being worth £4m-£5m as a result). Jason, your comments regarding the financial benefits of Championship promotion re tv money, ignore the reality of significantly increased operating costs that comes with promotion. In fact, for the last year of audited financial results (2015/16 season) only one team made money and the average loss was 10 million per Championship team. I seriously doubt the City owners have any interest in promotion in the near term because of the real potential for significant financial loss. Unfortunately I fear that Wyke will depart BD8 in the next few days or weeks. I think that we will struggle in the forthcoming season and without Wyke in our team, I think that we will be faced with a relegation battle. I hope that I am proved wrong, but I am really worried about the 2018/2019 season. Charlie should sign a 12 month extension, if it is on the table with a buyout clause. Lets face it, he downed tools last season with his pals mcmahon and law, he owes the fans a season of endeavour. If he is all that, which i still question, he will be worth more than £1m and he will get a better club than Sunderland or Bolton. Alternatively we should sell him to the highest bidder and sign Eoin Doyle from PNE as he seems surplus to requirement, being loaned out last season. Unfortunately Brukner is not a option. We seem to have recruited reasonably well lately but need to have a proper proven striker. Like everyone I’m very concerned about this season but not as convinced as most seem to be that Charlie Wyke is the answer. The fact is he has scored three league goals in 2018, including one penalty. Yes, he got no service but strikers have lean patches as well. If it’s true Sunderland are offering a million frankly I think we should bite their hands off. And if we can use the money to get Sharp so much the better. It’s distirbing that this has been allowed to happen again. In the current market £1m is nothing, especially to Sunderland who are cash rich. This model only works if you go the Peterborough route and make every penny you can from the assets you have. CW’s contract has run down and the owners have to take the blame for that, we’re in a place again where we have to sell the family silver for a knock down price because of his contract, even though their entire business model is based on selling players. How have the owners allowed his contract to run down? They can’t force him to sign another one and if they had tried to sell him at any stage last season everyone would have been up in arms. Damned if they do damned if they don’t, once again. Considering his (and every other players) dip in 2018 the risk is larger than if coming in to the summer on a good roll. Ormondroyd wasn’t sold in 1988 after the nearly season, he was still here during the following season and featured in the cup wins against Everton and Spurs. He was sold midway through the following season – so within 12 months of missing out on promotion. Correct, and much as I liked Sticks I think he’s an example of a player who went for more than he was worth and was good business for the club. Phill Babb is another one I felt was over valued. I’m a big fan of CW but if he wants to go then we need to cash in now and drive the price as high is it will go. I wouldn’t want another Wells situation where the club was pulled over the barrell by player, agent and buying club. If that’s going to be the case again I’d rather him see out his contract – in the reserves if need be. Phil Babb was sold by us for around £600k and LIverpool sold him to Coventry for £5million. In a fair and ideal world in football (which it is anything but) I would agree he should stay. Football is not like it was 30 years ago.Charlie clearly downed tools post Stuart and maybe even before he left.A very unhappy player.Rahic has made the mistake of allowing good players contracts to run down before.There are ways to get them to sign as it approaches the final year.What is a worry now are reports his injury MAY be a 4 week job.The timing is suspicious with the deadline just 2 weeks away.Rahic stated he would try sell him in this window. (West Yorkshire radio interview in the last window. )A million with add ons would be good business.Given that he can go for free in summer where the individual (Charlie) can then secure better personal signing fees for himself.Its a mean old scene today post Bosman.I do agree he looks always the only one capable consistently of been capable to put the ball in the net.They do not grow on trees.Its equally concerning that he has had a few spells with injuries (as now).At 25 thats worrying.We cannot easily compare to events pre Bosman.£650k for Stix was a no brainer.Nice a lad as he is.If he will sign a contract extension for 18 months now I would agree with Jason.If Rahic is prepared to pay him to reflect his increase in value.Rather than argue over bonus payments for goals scored.I suspect he will not.I suspect he may even be considering his own long term position given the discord between chairman and fans.So I expect Charlie to go and give the Balance Sheet a touch more credibility.For when he relinquishes ownership.Its a pity Sheff United are not the interested club. What’s your thoughts on the moon landings?